While iPhone X has popularised gesture navigation, every phone maker is now delivering their take on it in new phones. 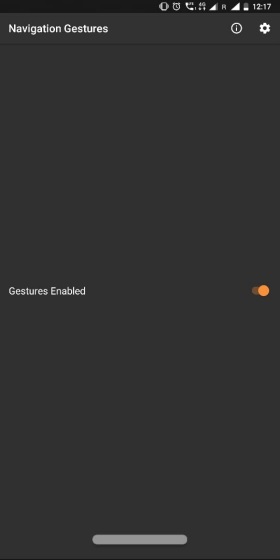 Even Android P (which is still in beta) has adopted a new navigation paradigm system with gestures that haven’t been received very well, and are only available on a handful of devices anyway. So, if you like Apple’s implementation, then thanks to XDA Developers, you can install Navigation Gestures to get the same for your Android phone. Navigation Gestures app replaces the stock 3-button navbar with a pill-shaped marker (yes, it’s still a pill but elongated) that brings iPhone X-like gestures to your device. This is a simple and handy app, which once set up, will add the pill icon over your app dock and offer you the same functions you would normally access with the standard nav bar. 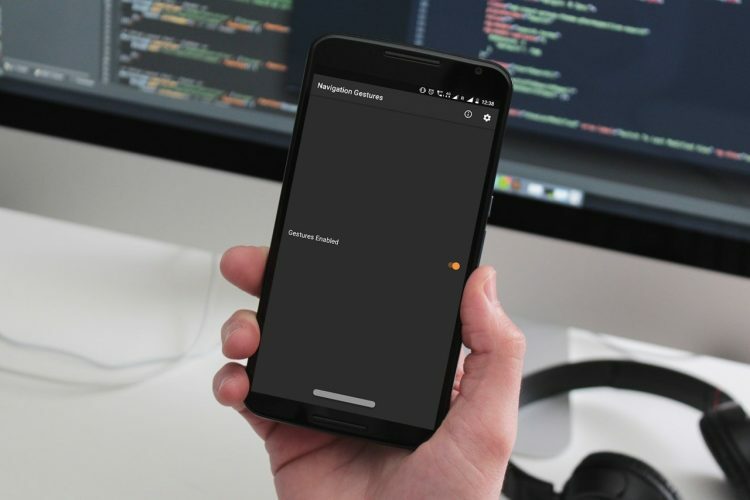 The app uses an API that’s only accessible by granting special permissions to the app, which means it doesn’t quite work on Android P yet – which is kind of ironic. 1. 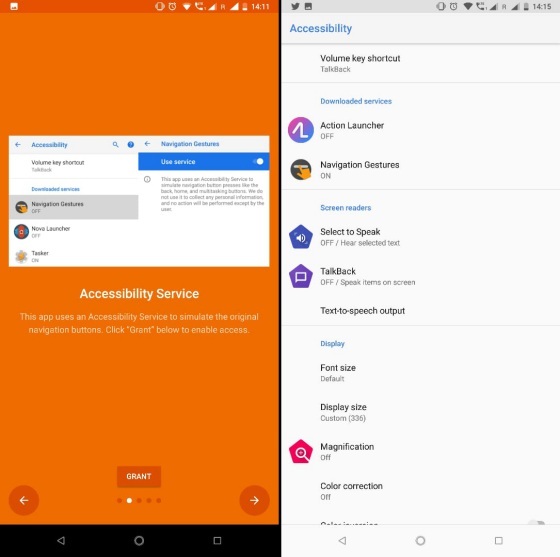 Once you download the app from the Play Store (Free), you will first need to grant it permission to the accessibility service. 2. 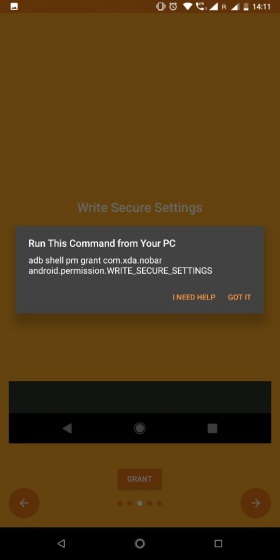 You then need to connect your phone to a PC that has fastboot and adb installed on it, which is required to grant the special permission we talked about above. 3. Open Terminal (on macOS) or Command Prompt (on Windows), type in the following command and press enter. 4. If you’ve granted all the permissions properly, the only thing left to do is enable the gestures and customizing them. You can customize the gestures, be it a tap, double tap, long-press or swiping in all four directions, based on your preference. You can choose between actions, such as home, back, recent apps, Google Assistant, or even no actions. You can even set it to be similar to the iPhone X. While the free version of the app would be enough for basic navigation needs, XDA is also offering a premium version that brings even more gestures. The $0.99 premium version gives you additional actions such as pulling down the notification shade with the pill, opening the power menu, jumping to the previous/next track, and more. I’ve tried this app on my Nokia 7 plus and well, the gestures work amazingly well. The ability to customize the actions and the pill’s appearance to your liking is a great add-on but the pill does act finicky at times – certainly not as smooth as iPhone X or Android P gestures – but still good enough to start getting accustomed to gesture-based navigation. Have you tried out the Navigation Gestures? How did you like it? Let us know in the comments below.